LC CZEXTRUDER There are 12 products. LC Czextruder is the most robust and reliable extruder on the market. It was designed by polymer clay artists in cooperation with engineers, that is why LC Czextruder is the best tool for extruding polymer clay. It offers easy and smoothe extruding, robust and well-engineered construction, hand-free mode and a broad range of extensions for LC Czextruder - LC Disks. LC Czextruder will bring your polymer projects to a whole new level. Discover LC Czextruder and enjoy claying. A set includes Czextruder HD XXL and LC Base. LC Czextruder is a robust and high-end extruder for work with polymer clay. LC Base is a dibond board with magnets that allows to attach the Czextruder to the table and hold it still and detach it with one simple movement. LC Czextruder HD with STAINLESS STEEL BARREL is a robust extruder for work with polymer clay. 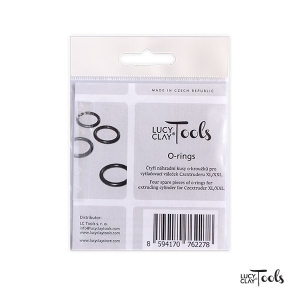 It shapes polymer clay by forcing it through LC Disk (extensions). LC Czextruder comes with a cranked handle for smooth and effortless extruding by hands and a cordless-drill extension for work with a cordless drill (a drill is not included). LC Czextruder HD is a robust extruder for work with polymer clay. 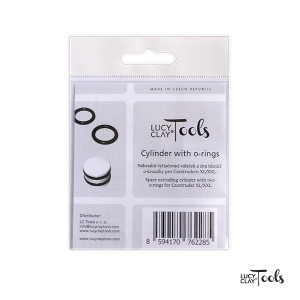 It shapes polymer clay by forcing it through LC Disk (extensions). LC Czextruder comes with a cranked handle for smooth and effortless extruding by hands and a cordless-drill extension for work with a cordless drill (a drill is not included). LC Czextruder HD is a robust extruder for work with polymer clay. It shapes polymer clay by forcing it through LC Disk (extensions). 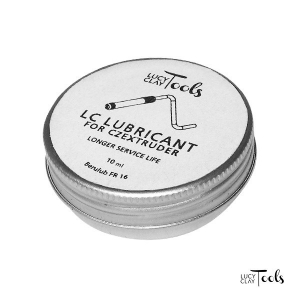 LC Czextruder comes with a cranked handle for smooth and effortless extruding by hands. 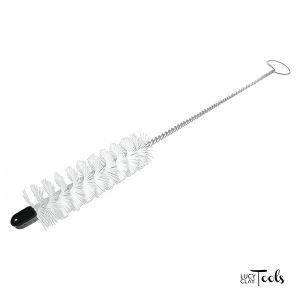 Lubricant, cleaning brush, white sticker on the barrel and hex-adapter/interface ARE NOT included in this basic package. LC Vise with magnets is made to hold the LC CZEXTRUDER HD on the work table. Due to strong magnets, LC Vise will allow you to steadily fix the LC Czextruder on the table, so you do not have to hold it with hands. Upgrade kit for LC Czextruder, using this kit you can upgrade your Czextruder to HD (Heavy Duty) edition. This kit includes brand new robust trapezoidal threaded rod and upper cap, which will make your Czextruder almost indestructible! Spare extruding cylinder with two o-rings for CZEXTRUDER XL, XXL. 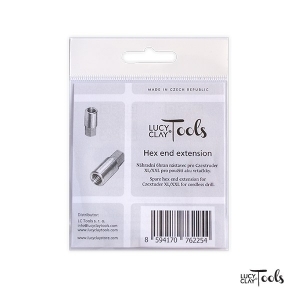 Spare hex end extension for CZEXTRUDER XL, XXL for cordless drill as well as LCMachines. Four spare pieces of o-rings for extruding cylinder for CZEXTRUDER XL, XXL. The grease containing PTFE suitable for the extruder's threads extending reliability of product. Cleaning brush for czextruder. Easy and simple. Great cleaning effect.